Virtual reality is one of the fastest growing emerging technologies on the market. From video games, to movies, and even real estate, VR is changing the way we see the future. The full potential of VR in education, however, is still being discovered. That’s why this week’s #WebsiteWednesday is bringing the power of VR to one of the places that can benefit from it the most – Langzou.xyz. 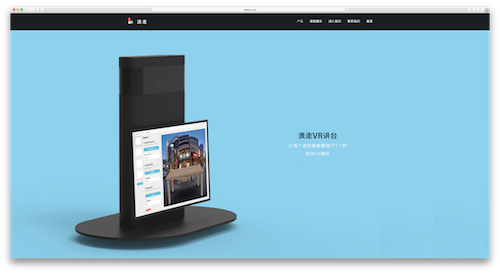 Langzou.xyz is a virtual reality company, and member of the HTC ViveX accelerator, that is using VR to enhance the learning experience in classrooms across China. Langzou.xyz has developed a software that allows teachers to supplement their lessons with VR without any special training. Teachers can select from millions of free 3D models that they can utilize to create interactive lessons. This means students can learn about anatomy while they are virtually interacting with the different bones. Or they can virtually travel to any country in the world for a digital field trip! Langzou.xyz is thinking outside of the box with their application of VR and is harnessing the power of technology to help shape the future of the youngest members of #GenXYZ. They chose the domain extension that covers every axis of space, X, Y, and Z. This technology has the potential to change education as we know it, and we can’t wait to see it rolled out in every classroom, everywhere!